Advance Commission: Can your agency rely on anything else? Does working with a buyers’ agent help or hinder? Growing your agency? Don’t forget about your existing clients! How will you spend your commission advance? Is a Real Estate Virtual Assistant the answer to your problems? Is online networking as effective as face-to-face networking for real estate? 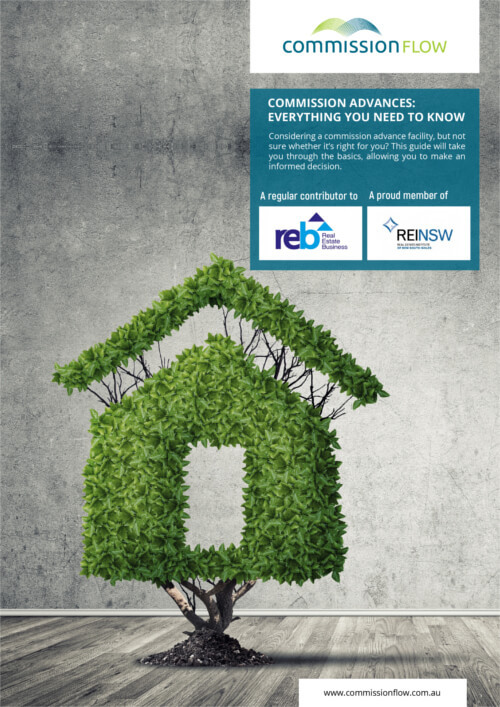 Listing a house in NSW? Register that pool first! Real estate: is the bubble really set to burst? To disclose or not? How to deal with multiple offers. Why are more agencies choosing Real Estate Commission Loans? Will traditional banking soon be a thing of the past? You might appraise your staff, but how are you performing?